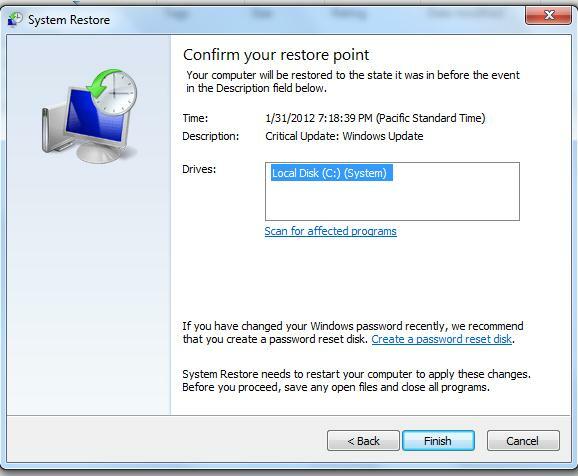 Note: System Restore will not work if it’s Disabled or the Protection is set to Off. 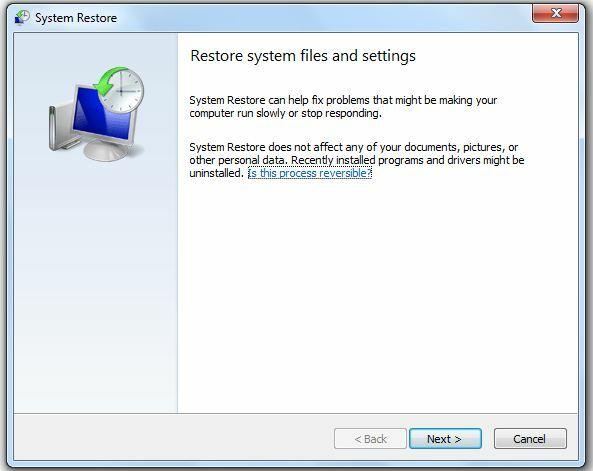 Others have great results if System Restore is run in Safe Mode (restart your computer, tap F8 and select this option). If you have installed any software/programs and Windows Updates, you will need to reinstall all of these. Your files will be safe after this process. Do you wish you can go back in time when your computer was all fine and worry free? You may try a System Restore. 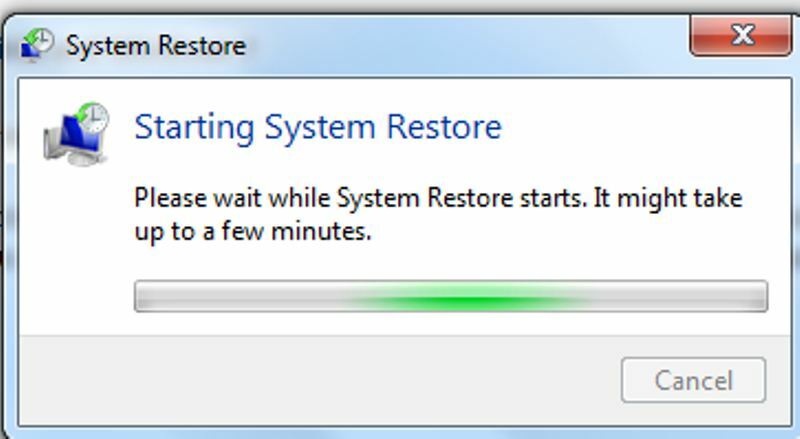 To begin, type System Restore or rstrui from Start Orb press enter, the System Restore should be starting. Choose a restore point then Click Next…. Confirm your restore point and Click Finish. 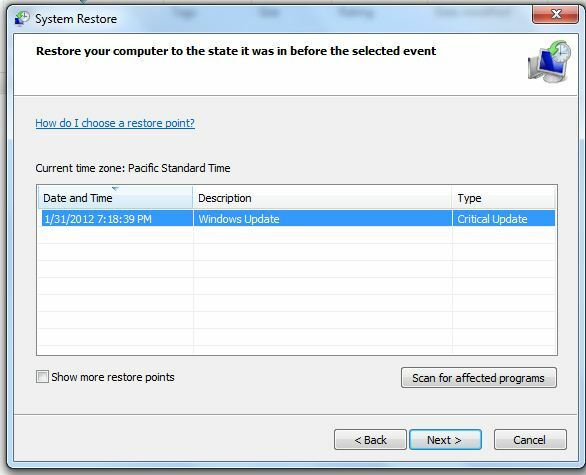 If the first Restore point didn’t resolve your issue, you may try another Restore Point.